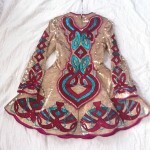 This Gold sequin dress has turquoise & burgundy Celtic designs. 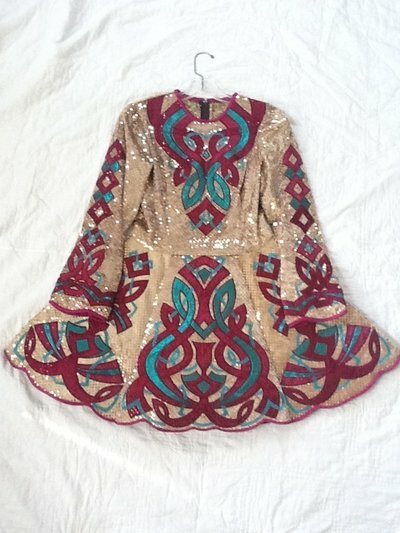 It was worn by an adult dancer for shows. 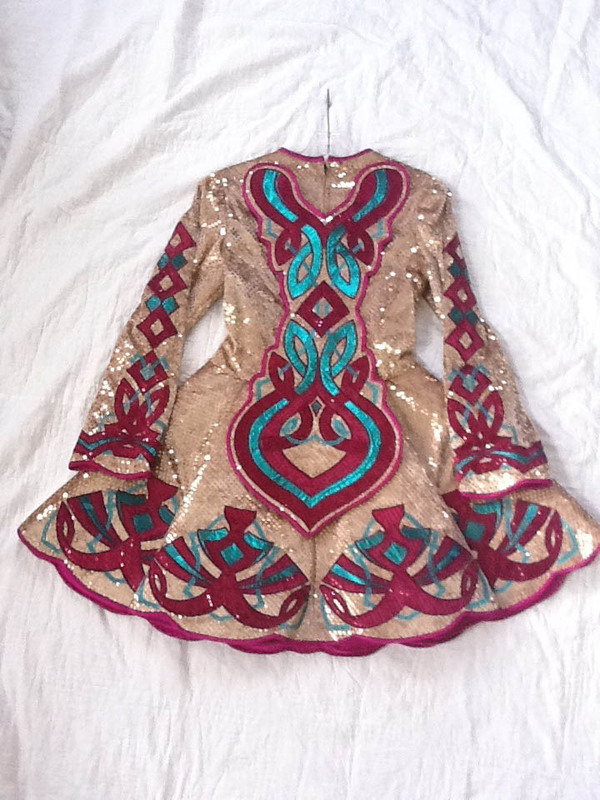 It is a very comfortable dress & looks amazing on stage. This dress comes from a clean, non-smoking, non-pet household. Will provide more pictures or details if you email me. Dress was dropped 1 1/2 inches after purchase from dressmaker. Can be taken back up. Dancer is 5′6″. Asking Price: $US350.00. Shipping costs are not included in the asking price. Sale is final.